Don't even bother sticking with the name brand! Southern Grove does an excellent job providing an alternative to Sunsweet Prunes. If we get really picky, the Sunsweet packaging is a tiny bit easier to open. But how quickly have you ever gone through a container of prunes?! Reviewers could not tell the difference between the two products. They said the snacks tasted practically identical and each reported they would switch to save. Two thirds of testers said they would switch to save. 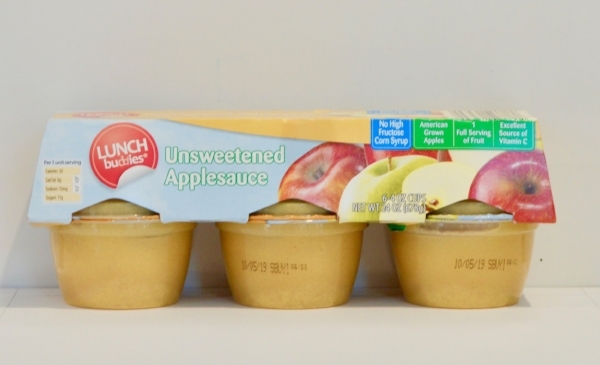 While smell and taste are similar, some testers were hung up on the watery texture of the store brand applesauce. All testers said they would switch to save. They found the taste and smell to be almost the exact same. They noted Clancy's pretzel slims are slightly smaller and thinner, but actually easier for dipping. Depend on your texture preference you will most likely prefer one product over the other. Our testers found that the name brand had a softer crunch and the generic was much crunchier. Our panel was split! Both of these boxes are impossible to open, the packaging perforation makes it even harder to open than the normal tabs. Quaker's granola bar has a sweeter smell and crumbles apart while you eat it. Since we prefer our food to crumble in our mouths and not in our hands, we recommend trying out the generic! Our testers thought these were a Donut HOLE in one! They found the taste to be very similar, and there were only slight differences in texture. We recommend you switch to save. The Emerald 100 Calorie Pack Natural Almonds are packaged in wider packs, allowing for ease when opening. Southern Grove Whole Almonds did hold up to the Emerald Packs and testers agreed across the board that they would switch to save. 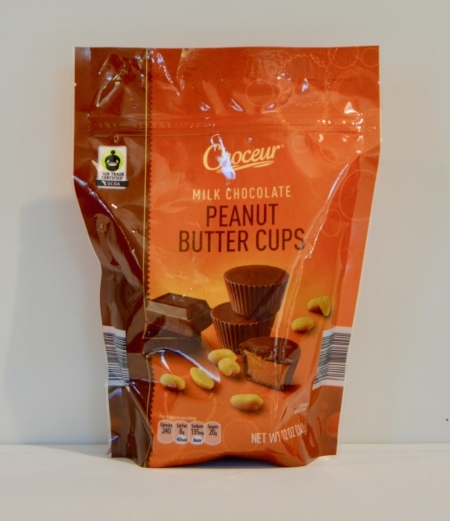 The store brand peanut butter is smoother and creamier, but both peanut butter cups had extremely similar tastes. All testers said they would switch to the Aldi chocolate to save. SWITCH TO SAVE!!! This is one of the best matches we have come across. Savoritz has done an excellent job matching the taste and texture of Triscuits. During your next Aldi run, definitely try these crackers. The taste of both these brands are very similar. The store brand texture is more gooey and left behind more juices. But if you're looking for a similar taste then this is a great dupe. Although the packaging was noticeably different, this was one of the best Aldi duplicates we have seen. There are minor differences in smell and creaminess, Nabisco's Ritz Bits were a little nuttier and creamier since there was a tad more peanut butter on each cracker. But our testers would not have been able to tell the difference in a blind taste test! The consistency of these gummies do differ, Stonyfield has a softer chewier texture. However, Simply Nature does a good job of providing an alternative. Depending on your texture preferences this might be an opportunity to switch to save! These are extremely similar in taste and texture - some testers say they are the exact same but we detect differences - the Cheez Its seem saltier and seem to have more of a sharp-cheddar flavor. We would switch to save in this case! Definitely make the switch! 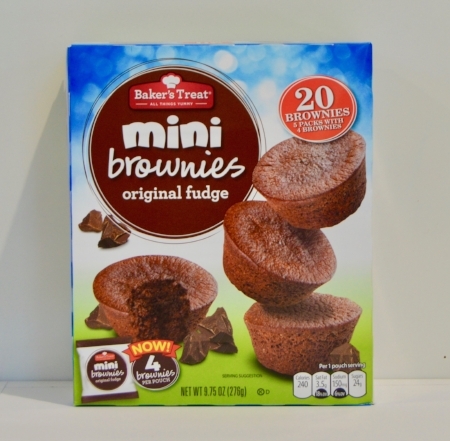 From packaging to taste, Baker's Treat Mini Muffins are preferred. The Baker's Treat Mini Muffins smelled sweeter and more appetizing. 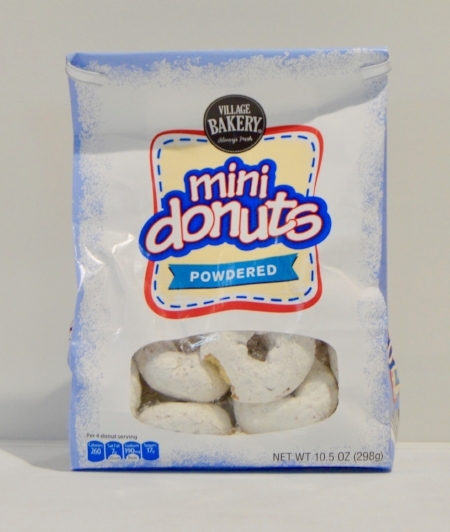 And anyone that may struggle with packaging, specifically kids, will thank you for purchasing Baker's Treat. Unfortunately, the Hostess Mini Muffins had a chemical taste that just didn't sit well on the palate. Take this opportunity to switch to the generic! The Emerald Packs have a very intense smell and are a bit to salty for our taste. All testers said these were extremely similar on taste and texture. They were impressed by the store brand and would switch to save. Switch to save! Our panel agreed that although Special K is slightly fruitier, the generic could help you save! Enjoy a sweeter strawberry smell with the generic. Benton's Vanilla Sandwich Creme Cookies are a great alternative to Golden Oreos! But be warned, the packaging is not comparable and quite flimsy. Testers commented that they would all switch to save, and the noticeable differences are that Aldi is slightly saltier and crunchier than Pringles. Switch to save! Our testers agreed, the generic has a nuttier smell, a slightly sweeter taste and a smoother texture. The biggest differentiation between the name brand and the generic for the Oats 'n Honey Granola Bars is the texture. Nature Valley tends to crumble more, if this is an issue you have with the Nature Valley bars, this may be an opportunity to switch. All testers said they would switch. Keebler has a toastier smell with a cardboard taste. Benton's is much sweeter in comparison, but the packaging was slightly more difficult to open. Our panel was convinced that this is an opportunity to switch to save! Savoritz does an excellent job recreating the flavor and texture of a Cheez It. There are some minor differences, a toastier taste, a stronger smell, crispy texture all make Cheez Its what they are, but this generic option holds strong! Nature Valley's Granola Bars have a more intense maple smell and a sweeter taste. Our panel preferred the generic since it focused more on the nuts than sweetness. Our panel really prefered the Southern Grove packaging, in addition to the stronger raisin smell and more flavorful raisins. Definitely take this opportunity to save! SAY CHEESE! Savoritz 4 Kidz kills it on the cheese and two of our panelists preferred it to the original. All testers said they would switch! Keebler has more of a toasted waffle taste, while Benton's cones are sweeter across the board. The Cheddar Cheese Stackerz Potato Crisps proved comparable to Pringles Potato Crisps. 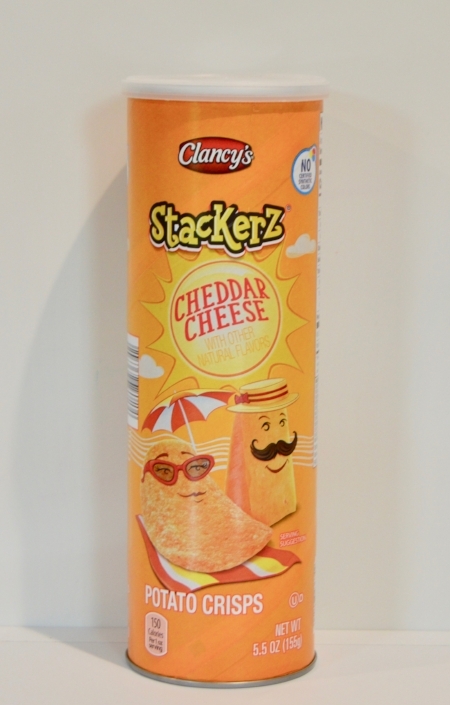 Although the Stackerz cheddar flavor is strong initially, the Pringles flavor has a more intense after taste. The majority of our panel would switch to save! But they did find some differences that are worth noting before you make your purchase. The name brand has a stronger chocolate smell and reminded the panel of mint chocolate chip ice cream. The generic reminded the panel of Dentyne Ice gum with its strong minty smell. Just some food for thought! Two-thirds of testers said they would switch to save. Testers liked the flavor and texture of both brownies, but thought the Entemann's brownie smelled more appetizing. Switch to save!!! 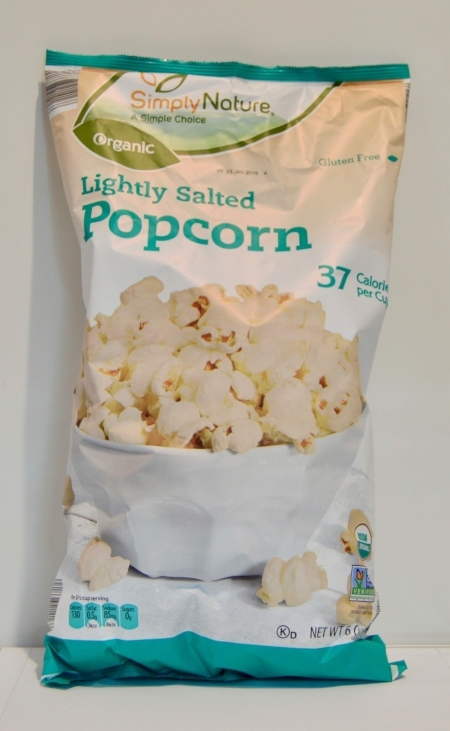 Simply Nature does an excellent job of recreating an alternative to Skinny Pop Popcorn. Expect a slightly saltier taste from Simply Nature. Moser Roth proves to be a very good alternative to Lindt. With the 70% cocoa our panel agreed that the Moser Roth had a stronger cocoa taste and smell. It was not quite as smooth as the Lindt bar. The packaging is worth noting since Moser Roth individually packages 5 bars instead of simply wrapping the entire bar in flimsy foil. The packaging for the Little Debbie Swiss Rolls was made for the snack counter, if this appeals to you, this is a great find. The cocoa smell, the sweeter taste and smoother texture were all notable in comparison to the generic. Though the name brand is a little denser, we did like the sweetness of the store brand. It's a treat after all! We think these are comparable enough to switch and safe! Unfortunately, Millville is roasting their peanuts for too long in our opinion. Our panel would not switch to save based on that too roasted taste. Three out of four testers said they would not switch to the store brand. They commented that there were less chocolate chips in the Benton's cookies and that it had a sort of stale texture. Millville for the win! Switch to save since the Oatmeal Raisin Granola Bars are have more cinnamon flavor and are all around more appetizing. Both testers said they would switch to Benton's brand. Benton's has a tougher and crunchier texture, while Nabisco has a stronger vanilla scent and sweeter taste. Switch to save and get a whole new set of animal shapes in the generic box! The generic has a lemony smell that is noticable but otherwise these are very comparable products. Aldi did another great job with their Mini Cheese Sandwich Crackers! Most testers would make the switch to the Aldi brand. Packaging was preferred and the crackers had a buttery smell and a saltier taste. If you are looking for a dill pickle taste, Clancy's is the way to go! Our panel determined that the generic has a much stronger pickle smell and taste and would switch to save. All Dressed - sounds good, eh? 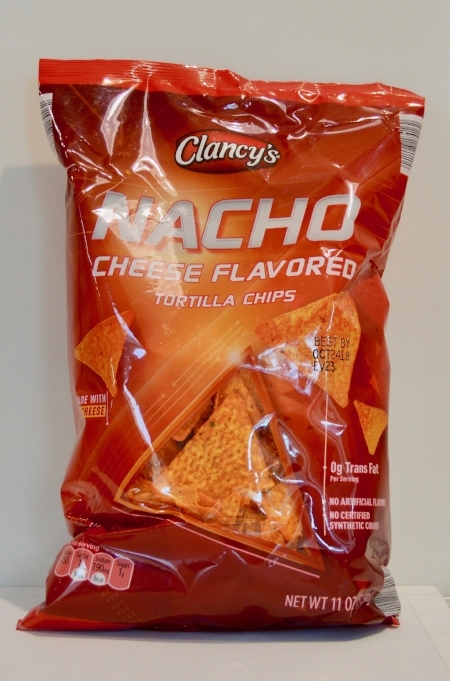 Our panel agreed that Clancy's did a great job recreating Canada's number one chip flavor. The mixture of salty, savory and sweet is approached slightly differently by each brand. Ruffles has a stronger sour cream and onion taste, while Clancy's focuses on salt and vinegar. Since Savoritz has a stronger buttery smell, a better taste but a somewhat greasy texture. Overall the Savoritz crackers tasted better, but whoever doesn't want a heavier butter flavor on their Club Crackers...stick with the name brand. Our panel was split on this comparison. Although the name brand has a very creamy texture, the generic is softer in texture and melts in your mouth. The lesson here is that you cannot go wrong! The testers were split with this one. Keebler cones have a fluffier texture. Benton's cones have a sweeter smell and are much crunchier and hard; they have a toasty flavor to them also. Three of four testers said they would switch to save. Testers noted that Benton's cookies have a harder shell and softer cream, but very similar taste. The pita chips taste very similar. The biggest difference is texture- Specially Selected are thinner and crisper with more air, while Stacy's are thicker and crunchier. These two brands are pretty close. Brookside is very chocolatey with a fruitier smell, while Choceur is slightly sour with a chalky texture. Choceur has a bigger bite to it, which is why the testers were split between switching. Testers were split-some said the store brand bar had a more bready casing, and therefore was blander. Others thought this was a great dupe. Overall, differences were slight and we would still switch to save! Simply Nature does a good job of replicating Stretch Island's Strawberry Fruit Leather. There are minor differences, specifically the grainer texture but sweeter smell of Simple Nature. Definitely worth a try! Nature Valley has a slightly stronger peanut smell and looks more appetizing. However, Millville has a sweeter taste and softer texture. Depending on what you prefer in a granola bar, you might want to try out the generic. Both popcorns were crunchy, and two-thirds of testers said they would switch to the store brand to save. The panel did find the name brand popcorn slightly tastier with more butter and salt flavor. The Go Go Squeez packaging will be easier for your kids to open, but since there are minor differences in smell, taste and texture. This might be an opportunity for you to switch to save. Note that the generic does have a stronger apple smell a more sour taste and a slightly thinner texture. Though Jell-o has a firmer texture, Baker's Corner has a stronger fruity flavor. Our testers would switch to save! Tell us what you think below! Our panel was split when comparing these two products. The products have very similar flavor profiles but the generic has a stronger onion powder taste and a puffier consistency. The Funyuns are crispier and a bit saltier. Our panel split on the Dark Chili chocolate. The Lindt bar had a more intense chocolate smell and a smoother taste and texture; while the Moser Roth is individually wrapped. We could go either way on this product. The majority of our testers would switch to save. However, some testers noticed a smokey after taste when eating the generic. If smokey doesn't offend your palate, this could be a great solution for you! Our testers were split across the board on Gushers vs. Fruity Burst. Gushers have a harder outer shell allowing each gummy to burst in your mouth, but they also get stuck between your teeth. Fruity Burst provide a fill for your general fruit snack craving and won't get stuck in your teeth! Testers noted a different texture immediately. The Clancy's cheese curls are much thicker and harder to chew (like cardboard). They taste similar, but Cheetos are cheesier. When initially mixing the pudding, the generic looked somewhat lumpier, but this was not noticeable in the texture during our tasting. The panel was able to distinguish a slight difference between the two puddings in richness of chocolate, but Baker's Corner held up well against Jell-o. The Fit & Active snacks are much more puffed up and airy than the Quaker snacks. You will get more crunch with the Quaker. Both have a decent amount of cheese powder, but the Quaker snacks are saltier. Both cookies are sweet and nutty, but testers said the biggest difference is in texture. The store brand cookie is much softer and doesn't deliver the signature Sandie texture. The store brand chocolate is more bitter, so fans of very dark chocolate may prefer this. The Dove chocolate is sweeter and has a cherry flavored finish. Both chocolates have a smooth texture. One-third of testers said they would switch to save. Depending on what you plan to do with your graham cracker purchase, you might be willing to switch. Honey Maid has a stronger spiced cinnamon smell and taste. Testers thought the main difference is the Clancy's pretzels are thicker and slightly more bready. Both testers thought they were similar enough to switch. Testers noted a similar salty taste, but Clancy's pretzel is much thicker, so it naturally is tougher and tastes more bready. Both chips were enjoyable to testers. There are slight differences overall, such as Doritos has a stronger cheese flavor and a little airier texture. These were slight enough that we would switch to save. The Millville granola bar has a nuttier smell and has more whole pieces of nuts. Our panel felt that this difference was crucial and we would recommend switching if you are looking for a nut bar instead of a processed nut bar. This store brand orange dessert is pretty great. It has a stronger flavor and is more firm, so if you are into gelatin molds then you may want to switch over to Baker's Corner Orange Gelatin Dessert. Nabisco's Chocolate Teddy Grahams had a sweeter, less bitter cocoa taste and melted in our testers' mouths. The similarities between these products were not as strong as other Aldi products we have tested. Maybe stick with the original. Jell-o has a more intense flavor and a firmer texture than the generic. Our panel was split on these products. The name brand has a stronger chocolatey and peanutty taste and the generic tasted more artificially sweet. The tester noted the main difference is the Tagalong cookie has a peanut butter cookie inside, and the Benton's cookie is chocolate inside. She actually preferred this difference. We say to support the Girl Scouts during cookie season, and get your fix from Aldi the rest of the year. Nabisco's Saltines had a more toasted taste and smell, while Savoritz was sweeter and starchier. Most tasters would switch to save. Although the generic comes close to the name brand, our panel agreed that they would not switch to save. The name brand has a stronger cranberry smell, whole nuts and the sensation of being a healthier bar. the generic has a nuttier smell but a lot of syrup holding the bar together. Our testers preferred the original! Nabisco's Fig Newtons had an easy to open package and a sweeter smell. Benton's Fig Bars were drier and had a different cake to fig ratio. Reviewers enjoyed the taste and texture of both the name brand and the store brand. The name brand is slightly cheesier, but Simply Nature puffs are organic and Pirate's Booty is not. The most noticeable difference is the Pirate's Booty has a resealable bag, which is great for freshness if you are keeping these for more than a few days. The cult following for Doritos Cool Ranch Chips may not be satisfied by the alternative, but Clancy's did get very close with this recipe. 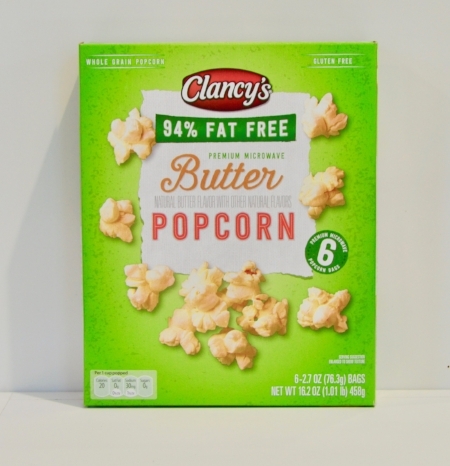 Most of our testers would not switch but Clancy's might be worth a try. There are slight differences between these products that could compel you to switch to save or stick with the name brand. Utz has a sweeter, crunchier, cheesier taste and Clancy's has a saltier, chewier, butter taste. There is much more powdered cheese on the Chex Mix and it is slightly crunchier. If you prefer a lot of cheese, stick to the name brand. Our testers liked the subtlety of the generic. The Chex Mix bag tears apart too easily, and split for us. Depending on your love of Fritos Corn Chips, this may be an opportunity to switch. 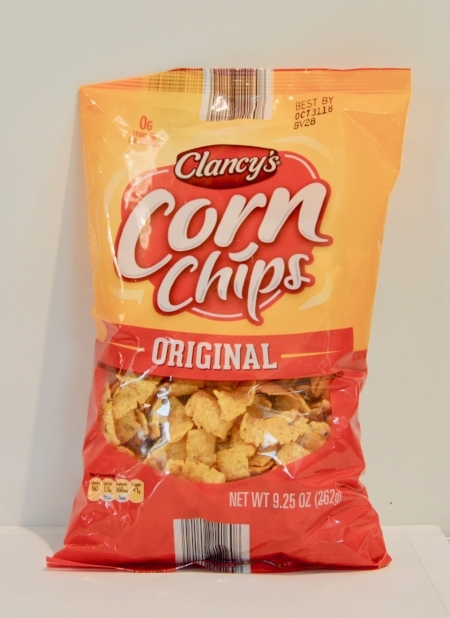 Clancy's had a stronger factory smell and the individual chips are not as visually appealing, but if you are just looking for a corn chip, this may be what you are looking for. Tostitos are a little saltier and airier, but we felt the Clancy's chips were a little more authentic tasting. If you like a crunchy corn taste, make the switch to save. The original Fudge Stripes from Keebler melt in your mouth and have a more chocolate/fudge taste and scent. Our panel clearly preferred the original. Millville is not as successful with this granola bar. Nature Valley has a sweeter smell and has whole nuts that are visible at the top of the bar. In addition to not being as visible pleasing, Millville's bar coating is blander and too sweet. Fit&Active, although comparable, differed most on texture. The thicker cut crisps were fluffier than Quaker's Rice Crisps. The powerful caramel flavor held our tester's attention and may be able to sway your decision, depending on your texture preference. Our panel was split on these products. One panelist compared the name brand to cookie dough ice cream and another panelist felt that the store brand was bland and tasted like whey protein. It depends in what you are looking for in a protein bar -- protein taste or pretending to eat ice cream? If you are looking for that maple taste, stick with the KIND bar. Elevation has a toned down taste, almost becoming bland in comparison to the KIND bar. Our panel agreed that this is not the best alternative to the KIND bar. 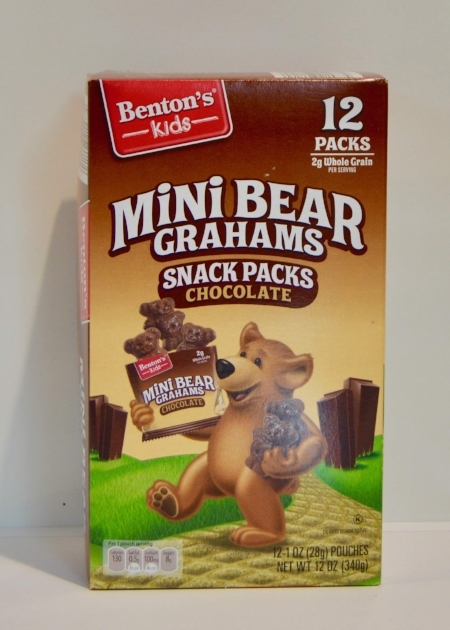 Both testers said they would not switch to Benton's Graham Crackers. The packaging was flimsy and the cracker was more dry and had sort of a processed taste. Nabisco's tasted like real honey and had a pleasing vanilla smell. The testers said they would not switch to Lunch Buddies Fruit Snacks. They don't have as much of a natural taste and have a thicker chew. Mott's brand is super sticky! Quaker's Chewy Granola Bars were the fluffy consistency we have learned to love. Millville's Granola Bars, however, had a very sugary smell, were denser and had a chalky aftertaste. This one comes down entirely to preference. Lay's is heavier on the sour cream flavor, while Clancy's is heavier on the onion flavor. Reviewers were split on whether they would switch to save or not. Millville has an intense burnt roasted peanut taste. Not sure why they are burning their peanuts, but we were not impressed. Nature Valley has a sweeter peanut butter taste, much more pleasant! The generic bar has an unfortunate artificial caramel smell, weird aftertaste and gritty feel in our testers' mouths. Since this bar is not comparable with the Atkins bar we would not recommend switching to save. If you want vanilla pudding as the main part of your dessert then you might want to stay with Jell-o's Vanilla Pudding because it's smoother and has a more satisfying vanilla taste. The store brand is great too, but we wouldn't switch to save, unless you were using the pudding as an ingredient in a different dessert. The Pepperidge Farm Goldfish Baked Cheddar Snack Crackers have packaging that will stay standing in a pantry. 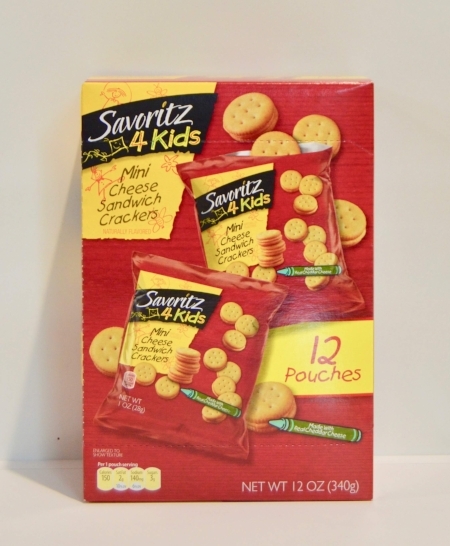 Reviewers would not switch to Savoritz for Kids Baked Cheddar Snacks based on the taste alone. If you prefer/enjoy the taste of Pepperidge Farm Goldfish Baked Cheddar Snack Crackers this is not the right alternative for you. Testers preferred the saltiness and the crunch of the name brand, but still thought the generic was a decent dupe taste-wise. 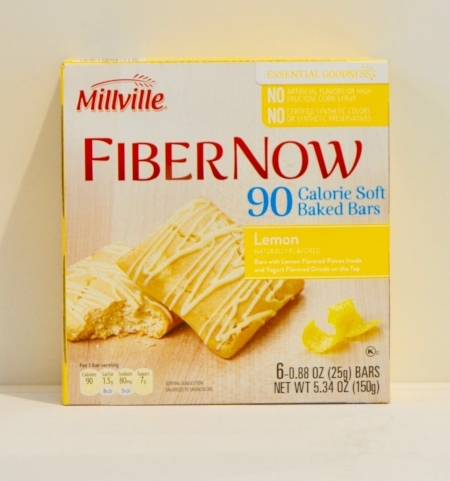 Fiber One Brownie's smell more of cocoa, while Millville brand has a bland taste. Because of that the tester wouldn't switch to store brand. The Clancy's popcorn bag was difficult to open. Additionally, the bag yielded much less popcorn than Orville Redenbacher's popcorn. The flavor was similar for each, but we would stick to the name brand simply for the volume popped. The texture of the store brand is off; it breaks apart into little beads and has a harder casing that can be unpleasant. This may not be an opportunity to switch to save. The flavor of the store brand was all off. Not sure this is an opportunity to switch to save. Neither of the two testers said they would switch to save. They preferred the salty taste of the Tostitos to the corn heavy flavor of Clancy's. If you are true to Little Debbie's Nutty Buddys, stick to the original. The smell alone gives away that you are eating a wafer cookie and once you take that first bite there is an airiness to the wafer that our testers know and love. Baker's Treat was easier to open but had a oily smell and more chocolate creating a heavier taste. Both testers said they would not switch to Millville brand. Nature Valley has more peanuts and is noticeably saltier with a better texture. The store brand has more of a peanut butter smell and tastes sweeter and is softer. Testers agreed that the Lay's chips are saltier and have more of a mesquite flavor. They noted the Clancy's chips are much sweeter in smell and flavor. This comes down to sweet vs. salty preferences. The Clancy's chips are much less salty, and therefore, are pretty bland. We thought the texture was very similar, but could not get over the blandness. It's a coin flip. Although the smell of the Jack Links Teriyaki Jerky is sweeter and stronger, both products taste like jerky. Jack Links is moist and has a stringy texture and Simms is a bit dried. But this might be an opportunity for you to switch. Note that the Jack Links Beef Sticks are a beef only product and Simms Snack Sticks contain beef, pork and chicken. So immediately you will notice a difference in these two products. Notably, our testers found the packaging of the Simms Snack Sticks varied, some sticks had a pretear notch and some didn't. The Jack Links had a smokier, seasoned taste and smell. The Simms Snack Sticks have a casing that is not agreeable texture wise. We recommend sticking with the brand name. Nature Valley has a more natural cherry smell than Millville's more artificial cherry smell. The Millville bars tend to be softer and sweeter. These two products have a very different taste from one another, but the majority of the testers would switch to Millville brand. We felt like we wouldn't switch because the store brand has more of a peanut butter taste and is chewier in comparison. The store brand was very hard and has a strong sunflower seed taste. There is also no peanut butter cream coating like there is on the store brand. Save your kids and their teachers by sticking with the name brand. The opening propellor on Go Go Squeez is far superior. The generic has a sweet yet tart taste and has a slightly more watery consistency. The store brand is a bit more crunchy and doesn't dissolve as quickly, but very similar taste to the name brand. The majority of our panel would not switch to save. The generic had a few qualities that were not as appealing as the name brand. The KIND bar has a sweeter coconut milk smell and the Elevation bar has a coconut smell but a burnt nut taste and was tougher to chew than we would have liked. Both packages are hard to open, while Savoritz brand contains a lot of air in their bag. Savoritz Thin Wheat Crackers doesn't have a lot of taste or crunch to the cracker. Nabisco has a saltier and crunchier texture that is more appealing, which is why our tasters said they would not switch to the store brand to save. Our testers were not impressed with the generic, it was too sugary and the texture was off, runny even. We recommend sticking with Jell-o for strawberry gelatin! Both testers said they would not switch to save. The generic tastes like it was cooked in bad oil, and Lay's tastes fresher and saltier. Both have a nice, crispy texture. Unfortunately, our testers experienced a strong powdery aftertaste when testing the generic bars. The flavor was comparable but that aftertaste really got to us. These bars have very different textures, the name brand very nutty and crunchier, while the generic is sweeter and has a predominant caramel taste and texture. Depending on your preference you might like the Elevation bar, but our testers voted : No. The store brand has an artificial, chalky texture. Name brand has a creamier smell and taste, as well as a smoother texture. And the generic didn't have fun sayings on the wrappers! The generic was much preferred by our panel. Instead of an entire bar of chocolate, Moser Roth cleverly wraps five bars individually for the consumer's convenience. The smell, taste and texture of the Lindt bar was entirely too bitter/sandy, even for 85% cocoa. Definitely switch to save! Our panel recommends sticking with Claussen, due to the packaging (easier to open), the strong dill smell, the peppery/salty taste and the crunch! We were split on this tasting. If you want to stick to your classic barbecue flavoring, Lay's is the best choice for you. Clancy's Barbecue Chips proved to have a tangier smell, a very sweet taste and a thicker cut chip. If this description appeals to you, take a chance on Clancy's! The fruit taste on these bars is very different and our panel preferred the generic. This may be a great time to switch to save! Our testers were in agreement that you should stick with Snack Pack Pudding instead of saving with Lunch Buddies. The look and the smell of the Lunch Buddies Pudding varied greatly from Snack Pack. Atkins for the win for the Chocolate Chip Cookie Dough Bar. Our testers found that the Atkins bar had a better taste and texture than the generic. Our panel recommends sticking with the original on this one. The products were not as similar as we would have hoped. If you are looking for stronger banana flavoring and easily dissolvable puffs, Gerber is the brand for you. If you are looking for a denser puff, Little Journey is the brand for you! Stick with the original! Slim Jim had better packaging, smell, taste and texture. With the Slim Jim you will notice a more shredded texture inside of the casing and more enjoyable chew. Most reviewers actually preferred the Aldi gluten free pretzels over the Snyder's because they had a denser texture. Especially because of the large price difference, the majority of reviewers would switch to save.